The Smiths Project: Who is Janice? Great idea (and great voice, too!). I love that you're doing this. What a cool idea! great stuff. i'll follow you from the netherlands. hope you'll have enough strenght to make it all the way to the girlfriend in a coma-erea. Good luck! I've been following since the start of your project. I've recently caught up with the past 8 songs and posts. So much is happening for you! I'm happy for you, and enjoy the ride wherever this is taking you. Wow. 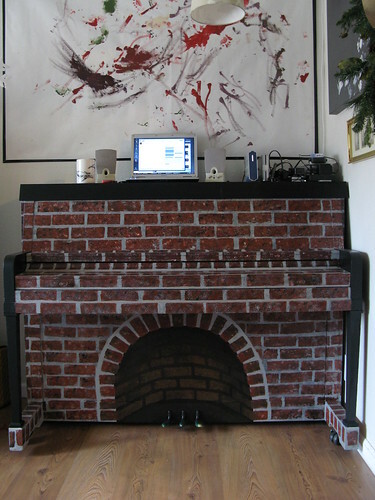 You mean your piano literally looks like a fireplace :). I just had in mind you meant a big dramatic old thing.